Hello UCreate readers, My name is Melissa Mortenson, but you might know from my blog, the Polka Dot Chair. Today I’m excited to be a guest here at UCreate and talking about some great handmade gift ideas for Teens and Tweens this Holiday season and make sure to check out the free printable THANK YOU tags below! If you’ve ever had a teenager you know that the experience can be extremely joyful and extremely stressful all at the same time. Right now I have 3 teenagers and feel like I’m constantly on a roller coaster ride. The teen years are full of so many ups and downs and it’s important that our teens feel that we love and support them. People show their love in many different ways, for me it’s with sewing and gifts. I LOVE to create something handmade to give as a gift. I love picking out fabric that I know that person would love, and I love designing a project that they will use and need. When I was younger and most of my friends were having babies on a regular basis, I used to love making sweet quilts and other gifts for the new baby. Then as I’ve gotten older (and so have my friends) I’ve often wondered why we stop giving quilts as gifts to kids as they get older. I decided to remedy that and have made it a goal to “give handmade” to the teens in my life, both my kids, their friends and my nieces and nephews. 1. Watch the fabric selection… This can make or break your project. 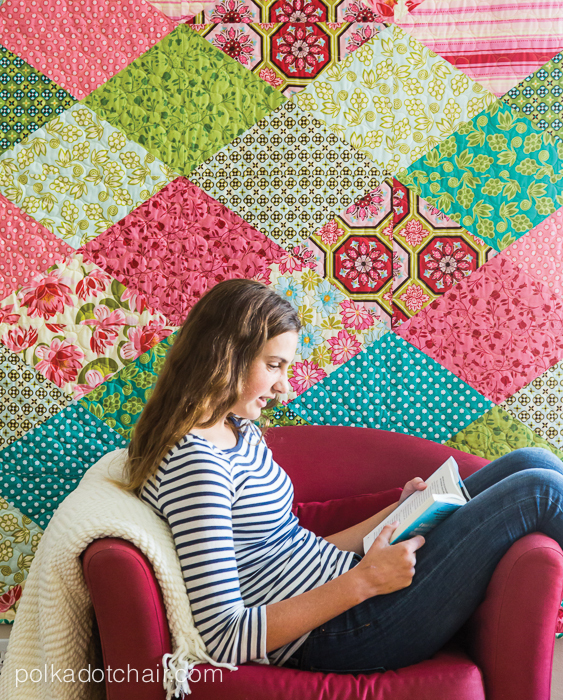 Try to find out what styles of fabric the teen you are sewing for loves and incorporate those into the project. A lot of times the fabric is not that different from you what you would pick for yourself. Also teens love novelty fabrics, just use 1 or 2 in a project so that they really stand out and don’t overwhelm the finished product. 2. Think of what kinds of activities they are in and the things they could use… Are they a soccer player? Do they spend hours outside waiting for games? 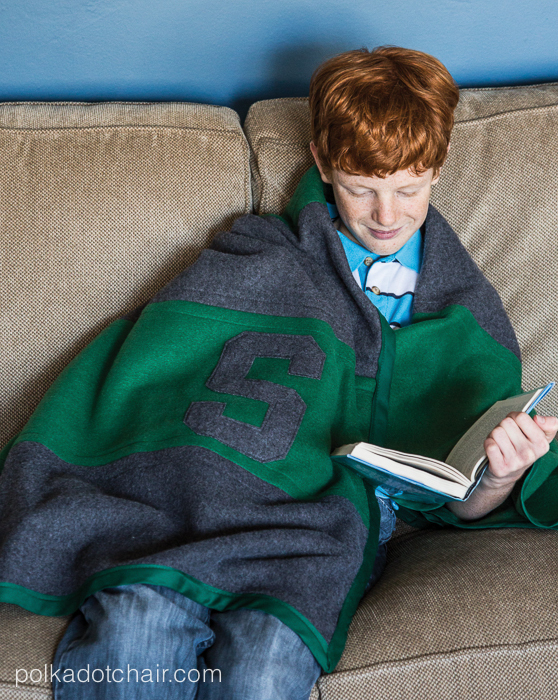 Then they might love a fleece blanket. Do they spend all summer at the pool? A beach bag might be fun. 3. Don’t be disappointed in their reaction. Many teens won’t get all excited and jump up and down when you give them a gift, don’t stress it doesn’t mean that they don’t like it. I made my then 16-year-old daughter a quilt for Christmas one year and thought that she would think it was a “stupid” gift. Her reaction when she opened it was “so so”, I was a little worried. Then I saw her curled up with the quilt by the fire later that day and realized that she loved it. That quilt went everywhere with us for the next few years. 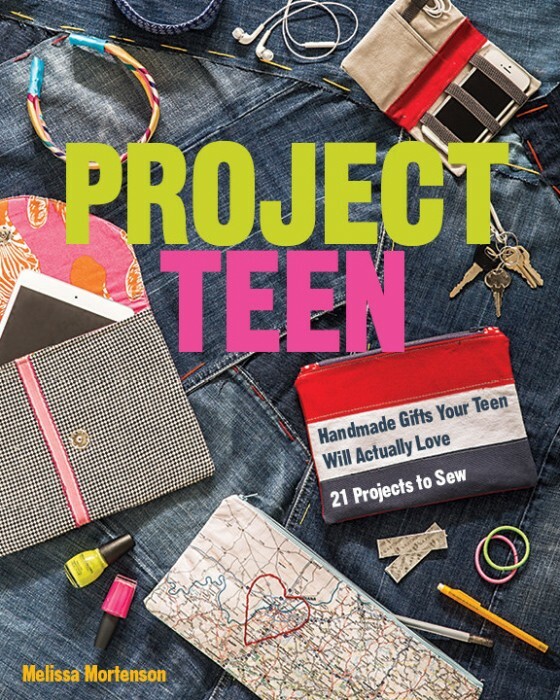 If you’ve got Teens in your life to sew for I’ve just published a book called “Project Teen: Handmade Gifts your Teen will Actually Love” full of ideas of projects to sew for teens. All of the photos in this post are sewing patterns from the book. This week is the blog hop book tour for my book and as a part of the tour, I’ve decided to help you out a bit with your handmade gift giving this year and created 9 different tags to attach to your handmade creations. Stop by each blog on the hop to grab your tag! 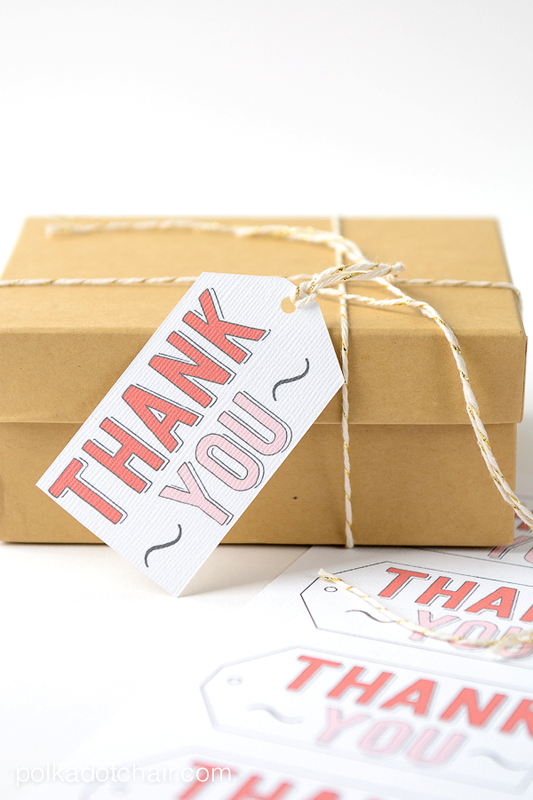 Since everyone loves a nice Thank You gift, I designed these “Thank You” free printable gift cards for UCreate’s stop on the blog hop. To download them just click here. Visit the other blogs on the hop to “collect” all of your gift tags! To find out more about the Project Teen book, just click over to my blog! These projects look really exciting and useful! I cant wait to see more 🙂 They look like they wouod not sit on a shelf, that’s for sure. 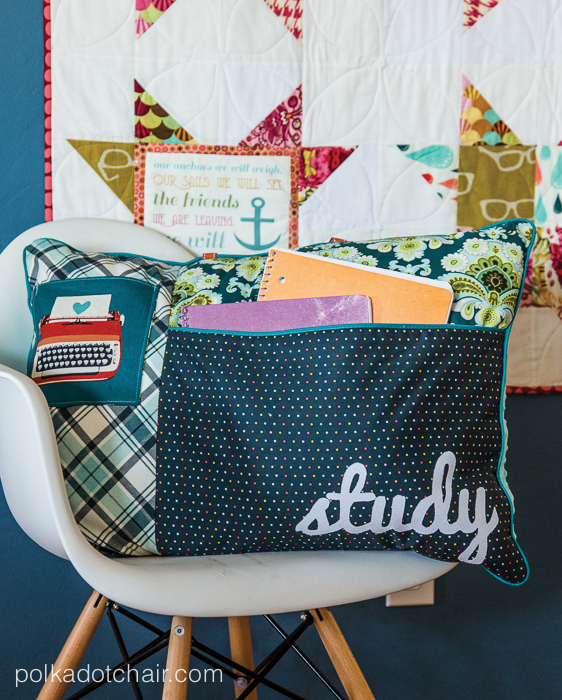 Love the homework pillow and the inspiring quilt.